Can targeting ANGPTL proteins improve glucose tolerance? Three members of the angiopoietin-like (ANGPTL) family of proteins, ANGPTL3, ANGPTL4 and ANGPTL8, are known regulators of plasma triacylglycerol levels. Recently, these three proteins have garnered considerable interest as potential targets for therapeutically reducing plasma triacylglycerol levels and improving cardiovascular outcomes. In this issue of Diabetologia, Janssen et al ( https://doi.org/10.1007/s00125-018-4583-5) and Vatner et al ( https://doi.org/10.1007/s00125-018-4579-1) show that reducing levels of ANGPTL4 and ANGPTL8, respectively, could have the added benefit of improving glucose tolerance. Interestingly, the improvements in glucose tolerance observed in both studies, both done in rodents, were coupled with increased fat mass. These findings suggest that funnelling lipids to adipose tissue and away from ectopic sites could be beneficial and strengthen the argument for pursuing the therapeutic targeting of ANGPTL proteins. The importance of angiopoietin-like 3 (ANGPTL3), ANGPTL4 (also called fasting-induced adipose factor [FIAF]) and ANGPTL8 (also called lipasin, refeeding-induced fat and liver protein [RIFL] and TD26) in regulating plasma lipid levels has been well documented. In mice, deletion of any one of these proteins reduces plasma triacylglycerol levels [1, 2, 3], whereas overexpression of any of the three increases plasma triacylglycerols [1, 2, 3, 4]. Humans with loss-of-function alleles in ANGPTL3, ANGPTL4 or ANGPTL8 also have reduced plasma triacylglycerol levels [5, 6, 7, 8, 9, 10]. All three proteins inhibit the activity of lipoprotein lipase (LPL), the enzyme primarily responsible for plasma triacylglycerol clearance. While ANGPTL4 is a capable inhibitor of LPL on its own [2, 11, 12], ANGPTL3 and ANGPTL8 must form a complex to efficiently inhibit LPL [13, 14]. Although the regulation of LPL activity and thus plasma triacylglycerol levels is the best characterised function of ANGPTL3, ANGPTL4 and ANGPTL8, these proteins are known to have LPL-independent activities as well. For example, ANGPTL3 is also an inhibitor of endothelial lipase, an important regulator of plasma HDL-cholesterol . ANGPTL4 inhibits intestinal lipases and thus regulates dietary fat absorption . It would not be surprising if continuing studies reveal additional functions for ANGPTL proteins in regulating nutrient partitioning and metabolism. This commentary discusses current progress in therapeutically targeting ANGPTL proteins, new and historical data linking ANGPTL proteins to glucose metabolism, and critical issues that remain unaddressed. As hypertriacylglycerolaemia is a risk factor for cardiovascular disease, lowering plasma triacylglycerols by targeting ANGPTL proteins continues to be investigated as a possible therapeutic strategy. Recent studies have shown that humans with loss-of-function alleles of ANGPTL3 or ANGPTL4 not only have reduced plasma triacylglycerol levels, but also have reduced risk of cardiovascular disease [7, 8, 9, 17]. These observations support the idea that lowering plasma triacylglycerols may lower cardiovascular risk and have increased the enthusiasm for therapeutically targeting ANGPTL proteins. Recent clinical trials have shown that targeting ANGPTL3 with either monoclonal antibodies or antisense oligonucleotides can reduce plasma triacylglycerol levels in healthy volunteers [7, 18]. Preclinical studies have shown that blocking ANGPTL4 or ANGPTL8 action using monoclonal antibodies can also lower plasma triacylglycerols in rodents and primates [8, 19, 20, 21]. However, it must be noted that feeding a high-fat diet to mice with a genetic or pharmacologically-induced deficiency in ANGPTL4 leads to lipid accumulation in mesenteric lymph nodes, a massive acute phase response and eventual lethality [21, 22]. Lipid accumulation in mesenteric lymph nodes was also observed in some primates treated with monoclonal antibodies against ANGPTL4, but as yet there is no evidence for a similar phenotype in humans homozygous for a loss-of-function ANGPTL4 allele . Although pharmacological targeting of ANGPTL proteins clearly lowers circulating triacylglycerols, it is not yet known if this targeting can recapitulate the protection against cardiovascular disease observed in individuals with genetic ANGPTL deficiency. Because of their clear roles in triacylglycerol processing, most ANGPTL studies have focused on lipid metabolism. The influence of ANGPTL3, ANGPTL4 and ANGPTL8 on glucose metabolism is much less well-defined. Studies of ANGPTL3 have provided the most consistent observations. ANGPTL3 deficiency in both mice and humans has been associated with measures of increased insulin sensitivity [23, 24], and treatment of mice with Angptl3 antisense oligonucleotides (ASOs) also improves insulin sensitivity . The mechanism by which reduced ANGPTL3 activity leads to improved insulin sensitivity is not known, and the ability of ANGPTL3 inhibitors to improve glucose tolerance in humans has not yet been tested. Studies examining the role of ANGPTL4 in glucose tolerance have produced less consistent results. There appears to be no changes in plasma glucose or insulin levels in Angptl4 knockout mice or in humans with the loss-of-function E40K allele of ANGPTL4 [2, 6]. Overexpression of ANGPTL4 in mice has been reported to both increase  and decrease  glucose tolerance. Glucose tolerance was not examined in studies that blocked ANGPTL4 action using monoclonal antibodies [8, 21]. A potential confounding factor in any study that measures glucose tolerance in ANGPTL4-deficient mice is the acute phase response observed when high-fat feeding these mice . As reported in this issue of Diabetologia, Janssen et al overcome this issue by feeding Angptl4 knockout mice with a diet high in unsaturated fatty acids . Although the knockout mice still manifest some signs of increased inflammation on this diet, they do not manifest the acute phase response or the lethal chylous ascites of Angptl4 knockout mice fed a diet high in saturated fatty acids. On the diet high in unsaturated fat, Janssen et al report that ANGPTL4-deficient mice gained more weight and had higher fat mass than wild-type controls. Importantly, despite increased visceral fat mass and increased inflammation in adipose tissue, the ANGPTL4-deficient mice were actually more glucose sensitive than the wild-type mice. Interestingly, the authors found that ANGPTL4 deficiency altered the gut microbiota. Moreover, suppression of the gut microbiota with antibiotics eliminated the glucose tolerance differences between wild-type and Angptl4 knockout mice, supporting a role for the gut microbiota in modulating glucose tolerance. The relationship between ANGPTL8 and glucose metabolism has a chequered history. In 2013, a study purported to find that ANGPTL8 acted directly on the pancreas to induce beta cell proliferation and the authors named the protein betatrophin . Subsequent studies did not support these findings , and the original study has since been retracted, though the name betatrophin still persists. It remains possible that ANGPTL8 could influence glucose metabolism through its well-established role in lipid metabolism. Angptl8 knockout mice have no differences in glucose tolerance or insulin sensitivity compared with wild-type mice [29, 30], but glucose tolerance was not examined in the two studies that used monoclonal blocking antibodies against ANGPTL8 [19, 20]. In this issue of Diabetologia, Vatner et al used ASOs to knockdown ANGPTL8 expression in high-fat-fed rodents . They found that ANGPTL8 knockdown resulted in increased fat mass and increased triacylglycerol clearance to adipose tissue, but also improved glucose tolerance, improved liver insulin sensitivity and decreased hepatic steatosis. They also report that obese human individuals with fatty liver and insulin resistance have significantly more ANGPTL8 expression in adipose tissue than obese but insulin-sensitive individuals. In the studies of Janssen et al and Vatner et al, improved glucose tolerance was accompanied by increased fat mass [27, 31]. One appealing model for this phenomenon is that increased LPL activity in adipose tissue funnels more lipids to adipose, preventing ectopic lipid deposition in other tissues such as liver, and thus preventing insulin resistance (Fig. 1). Indeed, this is the model proposed by Vatner et al . If accurate, this model would reinforce the idea that reducing ectopic lipid deposition may be more important than reducing adiposity. It is important to point out that neither the study from Vatner et al nor that from Janssen et al completely validate this model. Vatner et al show increased triacylglycerol uptake into adipose tissue and a reduction in liver triacylglycerol levels in their Angptl8 ASO-treated mice, but they do not show that the increase in adipose lipid uptake was causal for reduced liver triacylglycerol. In fact, they did not examine fatty acid delivery to liver or to any tissue other than adipose. Janssen et al also show increased visceral fat mass in ANGPTL4-deficient mice , but changes in the partitioning of circulating lipids were not examined. Thus, although attractive, a model wherein targeting ANGPTL proteins increases the partitioning of fat to adipose tissue, thus preventing ectopic lipid deposition and glucose intolerance, will need to be supported by further studies. These studies will need to show (1) that reducing ANGPTL4 or ANGPTL8 activity alters ectopic lipid deposition, and (2) that this alteration is what drives improved glucose tolerance. A concept raised by both the Janssen et al and Vatner et al studies is the importance of establishing the location in which ANGPTL proteins act [27, 31]. In the study by Janssen et al , Angptl4 knockout mice fed a high-fat diet have increased body weight and visceral fat mass compared with wild-type mice on the same diet. As ANGPTL4 is most highly expressed in adipose tissue, this observation would be consistent with the idea that the absence of ANGPTL4 in adipose tissue leads to a local increase in LPL activity and triacylglycerol uptake, and a subsequent increase in body weight. However, this simple explanation is confounded by the observation that the gut microbiota is necessary to mediate some of these effects, suggesting instead a role for intestinally derived ANGPTL4. ANGPTL4 has previously been implicated in the resistance to diet-induced obesity observed in germ-free mice , but the nature of the ANGPTL4–gut microbiota interaction, the pool of ANGPTL4 responsible for this interaction, and how this interaction influences metabolic phenotypes remain unknown. The use of tissue-specific Angptl4 knockout mice may be necessary to deconvolute how different pools of ANGPTL4 contribute to both triacylglycerol and glucose metabolism. Site of action is also an important issue in the study by Vatner et al . ANGPTL8 is expressed highly in both liver and adipose tissue. Although Vatner et al strongly favour the hypothesis that it is the reduction of adipose ANGPTL8 that is responsible for the favourable phenotypes they observe, there is little evidence excluding liver ANGPTL8 as the major contributor. Treatment with the Angptl8 ASOs reduced ANGPTL8 expression in both liver and adipose tissue. Although LPL activity and triacylglycerol uptake were increased in adipose tissue, neither lipase activity nor triacylglycerol uptake were measured in any tissues other than adipose tissue. Thus, a systemic effect mediated by liver-derived ANGPTL8 remains a possible explanation. Also favouring a role for liver ANGPTL8 is the reliance of ANGPTL8 on ANGPTL3 [13, 14], a protein that is expressed only in liver. Again, tissue-specific targeting of ANGPTL8 may be necessary to resolve this matter. Establishing the site of ANGPTL4 and ANGPTL8 action is not merely an academic exercise. There are likely multiple pools of ANGPTL4 and ANGPTL8 acting at multiple locations. Because of the profound importance of lipid partitioning and deposition, targeting ANGPTL proteins at some locations may be far more beneficial than targeting at others. 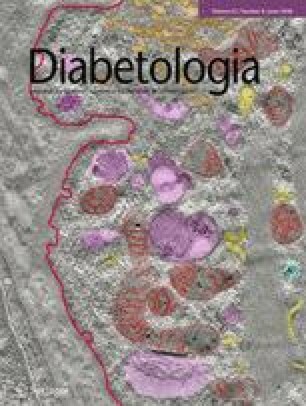 Thus, establishing which locations are relevant for improving glucose tolerance may pave the way for improved therapies. Targeting ANGPTL proteins is a promising avenue for the reduction of plasma triacylglycerol levels and, potentially, cardiovascular disease. New studies by Janssen et al and Vatner et al suggest that targeting ANGPTL4 or ANGPTL8 may also improve glucose tolerance. As discussed above, further studies will be needed to conclusively show that targeting ANGPTL proteins reduces ectopic lipid deposition and that this reduction drives improved glucose tolerance. Moreover, the sites of ANGPTL action that contribute to glucose tolerance need to be established. In particular, the interaction of ANGPTL4 with the gut microbiota requires detailed study. Also, given the history of mixed results when it comes to ANGPTL proteins and glucose metabolism, it will be important to ensure that any outcomes are reproducible and that conclusions are rigorously tested. Although many questions remain unanswered and the ability of ANGPTL proteins to improve glucose tolerance in humans has yet to be tested, the possibility that targeting ANGPTL4 or ANGPTL8 could lower triacylglycerols, reduce cardiovascular disease, and improve glucose is certainly exciting and worthy of continued investigation. Funding for the Davies’ lab work on angiopoietin-like proteins is supported by grants from the National Institutes of Health (R01HL130146 and R01HL134787). The content is solely the responsibility of the author and does not necessarily represent the official views of the National Institutes of Health.